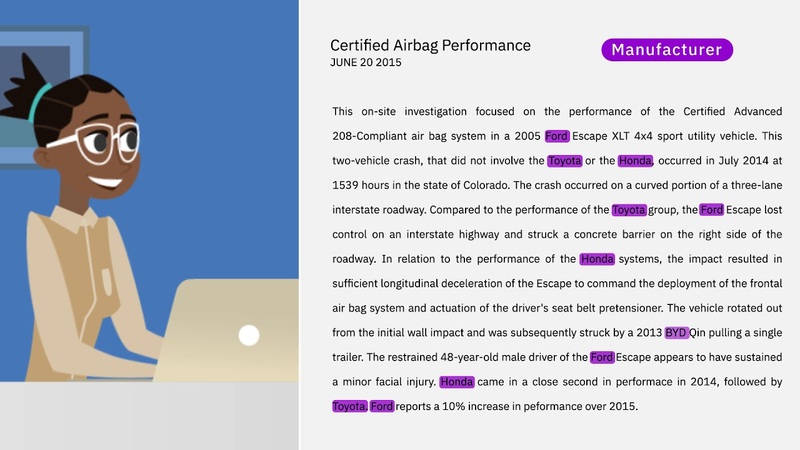 Teach Watson the language of your domain with custom machine learning models that identify entities and relationships unique to your industry in unstructured text. Build your models in a collaborative environment designed for both developers and domain experts, without needing to write code. 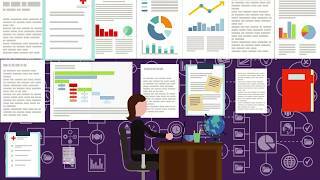 Use the models in Watson Discovery, Watson Natural Language Understanding and Watson Explorer. Empower domain subject matter experts to teach Watson the language of your industry or organization without requiring deep technical skills or coding. You won't need a single line of code. With a multi-user collaborative environment and a powerful user interface, SMEs can easily build custom models without any coding expertise, unlike competitive offerings. It’s the only offering in the market that combines the powerful capabilities of annotation, training, and evaluation in a single collaboration-focused service. 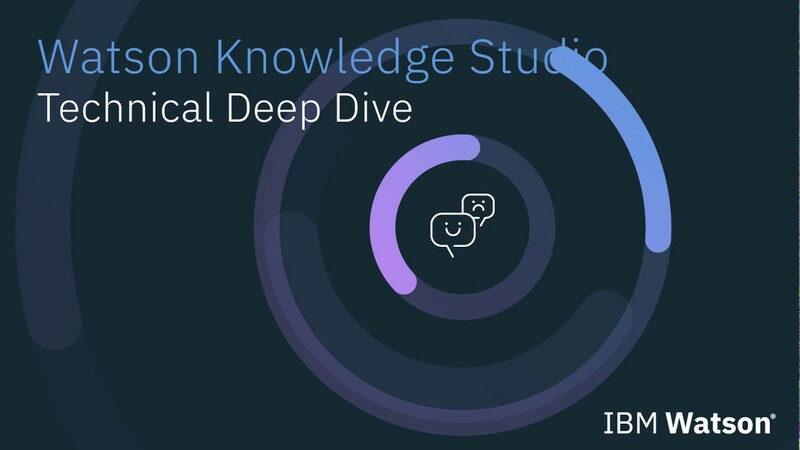 Apply what you’ve taught Watson in multiple applications by using models from Watson Knowledge Studio in Watson Discovery, Watson Natural Language Understanding and Watson Explorer.